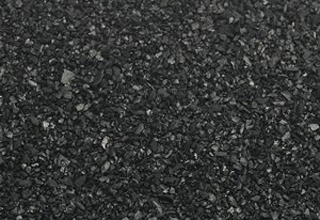 Activated carbon is a material mostly derived from charcoal. The structure of activated carbon has a very large surface area -1 lb of granular activated carbon has the surface area of 125 acres. The activated carbon surface is non-polar which results in an affinity for non-polar adsorbates such as organics. Activated carbon is very effective in air and water purification applications, as well as precious metal recovery or removal. Measure of activated carbon’s resistance to attrition. This is an important indicator of activated carbon to maintain its physical integrity and withstand frictional forces imposed by backwashing etc. Reduces overall activity of activated carbon. Reduces efficiency of reactivation. Metals can leach out of activated carbon resulting in discoloration. Acid/water soluble ash content is more significant than total ash content. Higher density provides greater volume activity and normally indicates better quality activated carbon.